Faq | Welcome To Road Safety Management Ltd.
A: RSMSL provides road safety services to the Government of Ghana and on a build operate and transfer basis under a private public partnership scheme. The NRSC is already doing so much but in limited capacity. RSMSL comes to give support to the NRSC and to help bring on board technology that ensures real change in the spate of road carnage on our roads. Q: How different is RSMSL going to be from the NRSC? A: RSMSL brings on board technologically driven pragmatic tools to drive the quest for a proactive strategy to combat the road carnage in Ghana. Q: Is RSMSL sure there will be adequate and often maintenance of the traffic cameras? A: RSMSL will not only ensure the supply, installation and operation of speed cameras but will have a round-the-clock maintenance team to service our network of traffic cameras in order that there will be a constant check on excessive speeding on our roads. 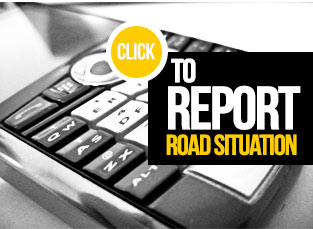 Q: Is RSMSL providing hotline services on road issues to the public? Q: How is RSMSL going to ensure that culprits caught by their cameras will be brought to book? A: RSMSL is expecting the passing of relevant legislative instrument by the government (enabling environment) to be the platform for making this project a success. 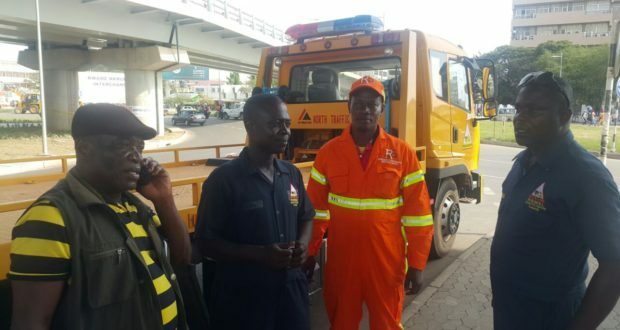 As part of measures to ensure free flow of vehicular traffic and prevent disabled and broken-down vehicles from causing accidents on the newly inaugurated Kwame Nkrumah Circle Interchange, the National Road Safety Commission, Ghana Police MTTD collaborate with Road Safety Management Services Limited have deployed tow trucks and other safety equipment at the Interchange and other main Highways.